Wants to apply for Latest TSGENCO Recruitment 2018? if yes then check the details ahead. 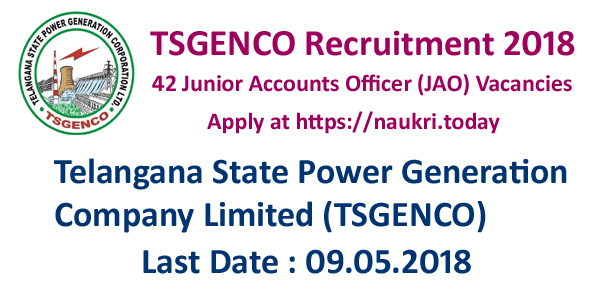 Telanagana State Power Generation Corporation limited has issued notification for appointment of Junior Accounts Officer (JAO) on 42 vacancies. Interested participants may apply online for TSGENCO JAO Recruitment 2018 from 13.04.2018. Last date to apply for Telangana Power Vacancies is 09.05.2018. 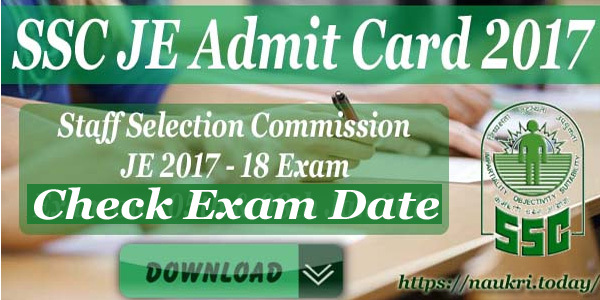 Candidates may download JAO TSGENCO Notification, Eligibility Criteria & other details from the official links given below. How to Become Junior Accounts Officer by TSGENCO Recruitment 2018? What is the Eligibility Criteria for Telangana TSGENCO JAO Jobs? The candidate want to go for TSGENCO JAO Vacancy 2018 must check the eligibility criteria given here. TSGENCO JAO Eligibility Criteria comprise of Education Qualification, Age Limit, Application Fees etc. Participants need to fulfil the details to get selected for TSGENCO JAO Jobs Selection Process 2018. Furthermore check TSGENCO Recruitment Notification 2018. The candidates who are filling the application form for TSGENCO Recruitment 2018 must pay Rs 500/- (if belongs to general). Application Fees for SC/ST/BC/PWD candidates is not applicable. For SC/ST/BC/PWD candidates : application and examination fees are exempted. The candidates are going to select on the basis of Written Test. The candidates who clear the written test then final selection will be done on the basis of Merit List. For more details candidates can visit the TSGENCO Job Notification Pdf. The candidates who got selection in TSGENCO JAO Recruitment 2018. They will get the salary of Rs 34,630/- with other allowances.The candidates who are interested and eligible can apply for this job. For more details candidates can visit the TSGENCO Notification Pdf. The candidates who are interested and eligible for TSGENCO Recruitment 2018 can fill up their application forms before the last date 09.05.2018. For filling up the online application forms few steps are required to follow. The steps are for available for TSGENCO Vacancy 2018. For further details visit the Telanganga GENCO Notification Pdf. 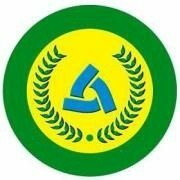 Deposit the fees for TSGENCO Jobs 2018.
click on submit button and then your TSGENCO JAO Vacancy Application Form will get submit. Take out the hard copy of application form for the future use. Conclusion : TSGENCO Recruitment 2018 for the post of Junior Accounts Officer (JAO) on 42 vacancies. Candidates may apply online for Telangana Genco JAO Vacancies from 13.04.2018 to 09.05.2018 from the official links given above.